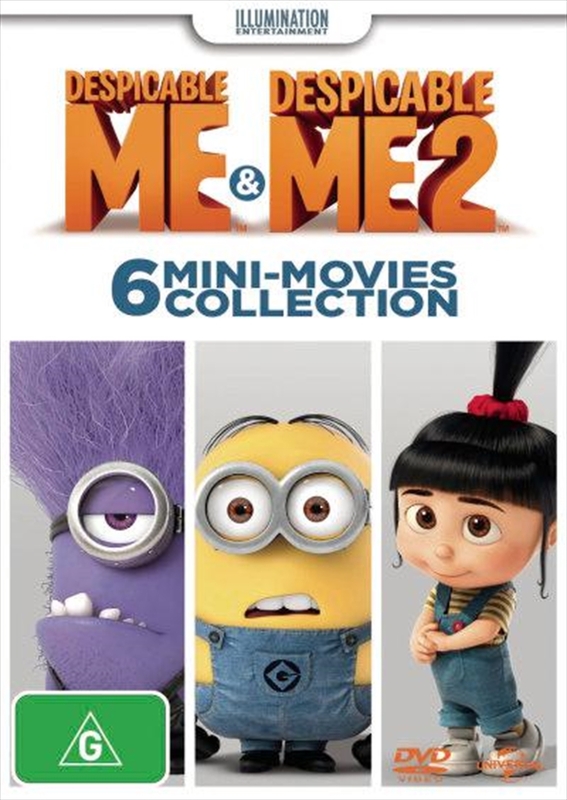 Bringing laughs for the whole family, the mischievous Minions return in a collection of new, hilariously entertaining mini-movies. In “Puppy,” when Kyle is unwilling to behave like a real dog, the Minions go looking for one who will. As usual, nothing goes as planned, and when their new friend gets homesick, it’s time for some very creative thinking! “Panic In The Mailroom” is what happens when a suspicious package arrives and the Minions are totally unprepared. And in “Training Wheels,” Agnes has some trouble with her bike and the Minions come to her aid — armed with a few helpful gadgets. See what happens on "Orientation Day," when Gru’s newest workers begin their training. Then, chaos takes charge in "Home Makeover" when Margo, Edith and Agnes recruit the Minions to make their house more family friendly. And finally, what begins as a typical lunch turns into a free-for-all in "Banana." For big family fun, all you need is a little Minion Madness!